The procedure of filling a new bug is quite simple and has been explained below. 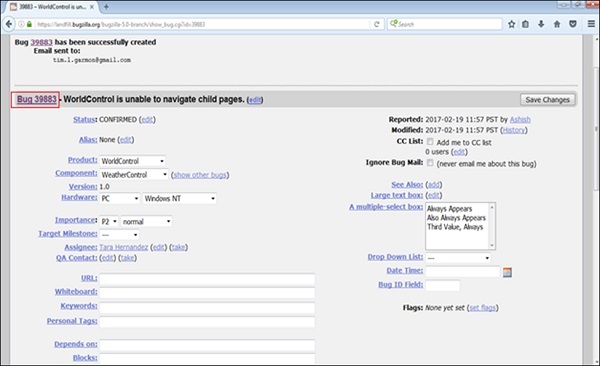 Step 1 − Click on the ‘New’ link, present on the header or the footer or Click on the File a Bug button on the home page as shown in the following screenshot. 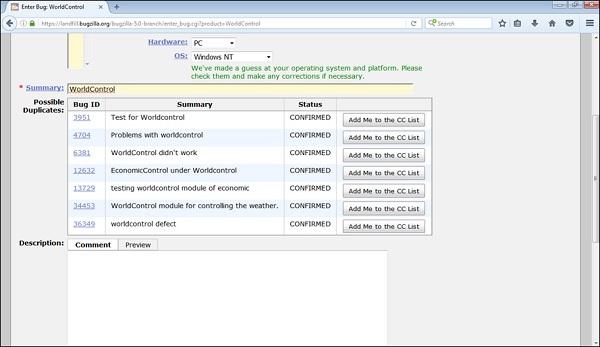 Step 2 − Now, select the product group in which the bug is noticed. 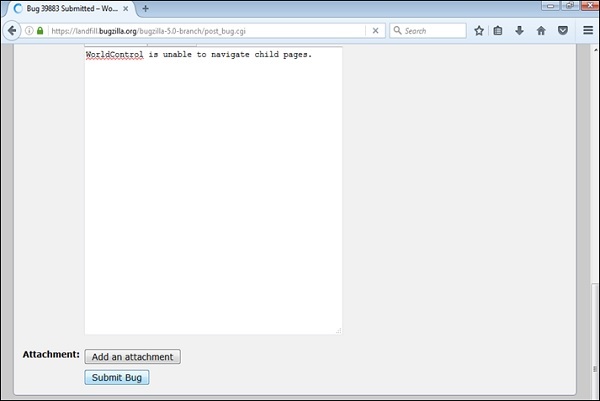 Note − The above fields vary as per the customization of Bugzilla. The Mandatory fields are marked with a red asterisk (*). 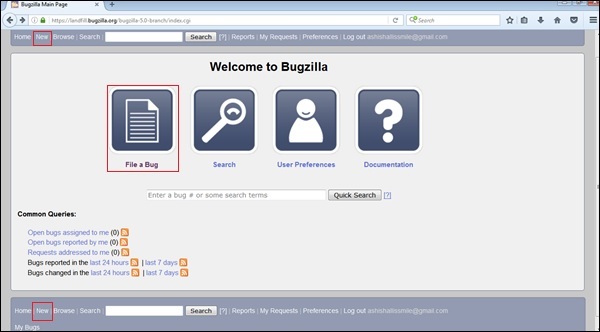 Step 5 − Once the user starts typing in the Summary, Bugzilla filters the already logged in defects and displays the list to avoid duplicate bugs. Step 6 − Click on the Submit Bug button to log the bug. Step 7 − As soon as the user clicks on the Submit bug button, a Bug Id is generated with the details that of bug as that were entered. Step 8 − The Deadline and the Status will be shown as depicted in the following screenshot. 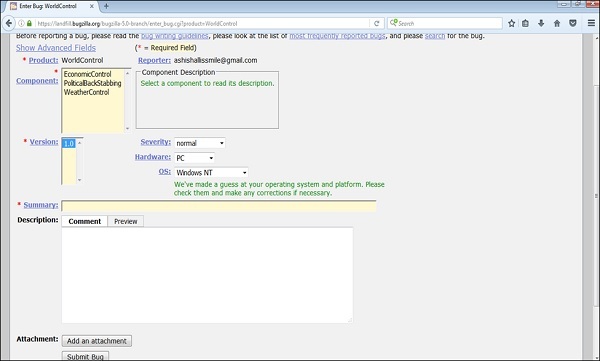 A user can also add additional information to the assigned bug like URL, keywords, whiteboard, tags, etc. This extra-information is helpful to give more details about the Bug that is created. In the next chapter, we will learn how a bug can be cloned.